Speaker of Parliament Ms. Rebecca Kadaga has mourned all those that perished in a boat accident that occurred on Lake Victoria on weekend. In a statement released Monday afternoon, the Speaker also says parliament will plug any loopholes in the laws that regulate the management of the water transport in Uganda. 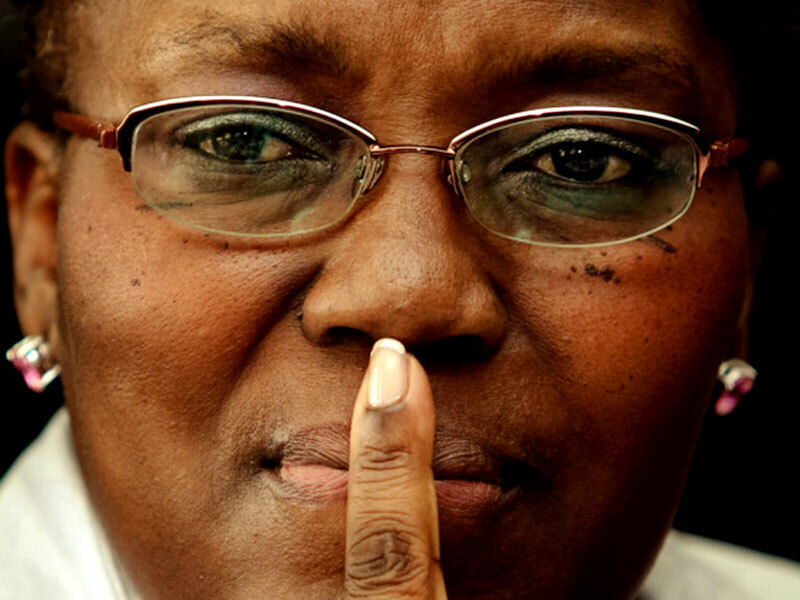 “I pledge commitment by Parliament of Uganda to expeditiously plug any loopholes in the law that regulate the management of the water transport in our country as soon as possible as they are presented by the government of Uganda,” Kadaga wrote. 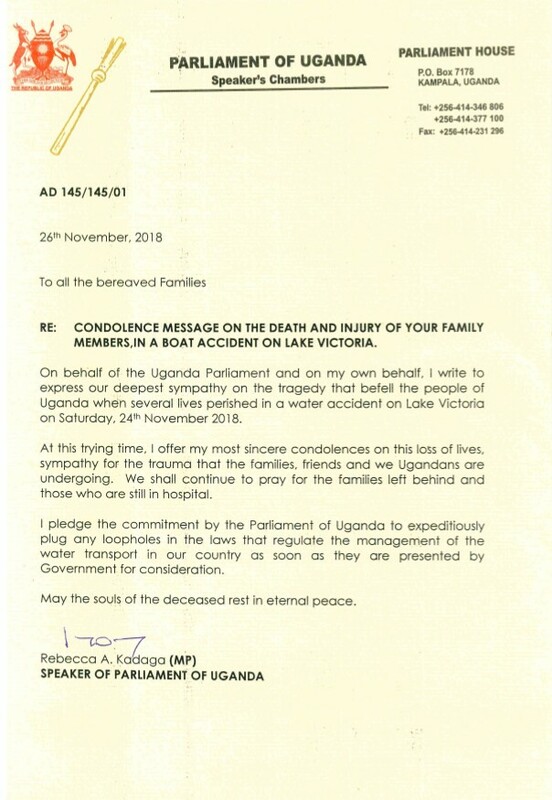 Kadaga who wrote on behalf of Parliament also expressed the deepest sympathy on the tragedy that befell the people of Uganda when several lives perished in a water accident on Lake Victoria. This follows an accident on Lake Victoria that left 31 people dead while 27 have been rescued. Efforts by Police and UPDF to find any other bodies trapped in the waters are still going on. President Yoweri Museveni who also visited the scene of the tragic incident on Sunday noted that the ones in charge of the boat would be charged with criminal negligence and manslaughter.